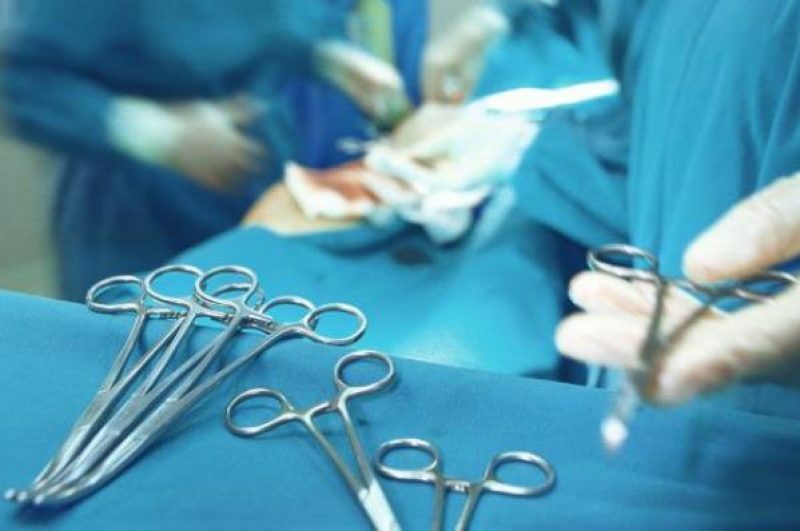 A young woman was suffering for five months before realising that a surgeon had left behind one of his surgical instruments in her stomach during an operation. The horror of an urban myth made real was the lot for a patient who was unwittingly carrying around a medical instrument in her stomach after an operation at Saint-Louis de Paris hospital. In November of last year, Cécile aged 24 and suffering from obesity, presented herself to the hospital in the French capital to undergo reconstructive surgery after a previous operation to remove part of her stomach. Very soon after her discharge, she began to complain of severe stomach pain. “I was swollen and I had a cyst just above the pubic area. I went back to the hospital but they just spent five minutes looking me over with physically checking me and said that all of that was normal,” says Cécile, talking to Le Parisien newspaper. For five months, she was on pain killers and returned regularly to the hospital where she brought up her ongoing problem, but the cause is not pinpointed. It was only after a consultation with her GP that the discovery was made. He decided to carry out an ultra-sound, which revealed the presence of a foreign body in her stomach. She was sent to the hospital straight away, where a scan photo clearly showed that a 15cm-long surgical clamp had been left behind in her body during a previous operation. After an emergency operation, the young lady ended up receiving an apology from the hospital as well as damages on behalf of the Public Hospitals of Paris mutual fund to the tune of €5,400. The sum was dismissed as “ridiculous” by her lawyer Frédéric Pichon, who requested that the administrative tribunal nominate an independent expert, underlining the “negligence and flippancy” of the hospital. For its part, the Public Hospitals of Paris noted that “the representative of the hospital in question presented his apologies to her on behalf of all the team” and assured that its compensation “corresponds with the parameters currently in force.” Furthermore, it went on to say that it was an exceptional event, the type of which it has never experienced before.